This modern, detached cottage in an idyllic location with spectacular sea views, is an attractive choice for a seaside holiday. Set on Killard Hill, close to the owner’s home, this quaint cottage is within 5 minutes’ walk of the lovely secluded White Strand Beach. Renovated to a very good standard, it is a short drive from the beautiful Doughmore Beach. Doonbeg is an ideal location for fresh water fishing and sea angling. 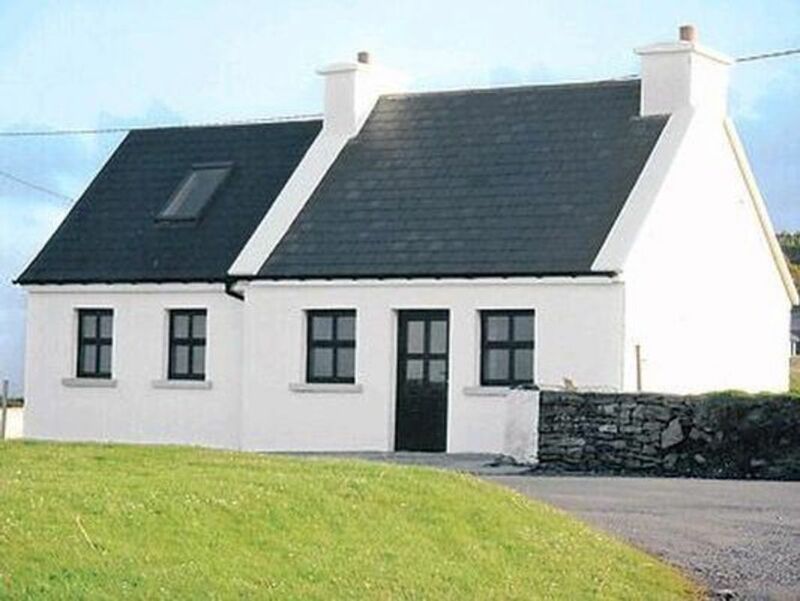 Killard Cottage is an ideal base to explore the beautiful coast of Clare and enjoy The Burren, Ailwee Caves, Cliffs of Moher and the Loop Head Peninsula. There is golf at Doonbeg and lovely cliff walks locally and in the nearby resort of Kilkee (10 minutes’ drive). Shops, restaurant and pubs 2 miles. Ground floor: Living/dining room/kitchen with beams and wooden floor. 1 double bedroom with en-suite shower room with toilet and steep, spiral stairs to connecting first floor single bedroom with Velux and sloping ceilings.